May 26, 2018 - Staff Sergeant Ronen Lubarsky, the IDF soldier who was critically wounded after a marble slab was thrown at him during an operation near Ramallah, was pronounced dead Saturday morning at the Hadassah Medical Center in Jerusalem's Ein Karem. Prime Minister Benjamin Netanyahu voiced his deep regret at the staff sergeant's passing, and sent his heartfelt condolences to his family. Israel's "defense arms will find the terrorist and the State of Israel will exert justice," he vowed. Defense Minister Avigdor Lieberman added his own message, tweeting, "Duvdevan, one of our elite units, carries out numerous arrests every night in an unending war that affords no fame or publicity." The minister then sent his own condolences to the young officer's family, and said that he will "closely monitor efforts to arrest the terrorist. We will find justice for Ronen." President Reuven Rivlin spoke about the soldier's passing, saying he was "deeply saddened to receive the news. Last night I was able to talk to his parents and brothers about his condition, and to send prayers for his recovery. Today however, we are greatly pained to send our sympathies as we share in this great tragedy. "At this difficult time, I want to offer strength also to the wonderful fighters and commanders of his unit, the best of our young men, who go out every night on operations that ensure we are able to carry on our day-to-day lives in safety. "We feel the pain of the family and of the unit and have them in our hearts. May Ronen’s memory be a blessed." Education Minister Naftali Bennett wrote about Lubarsky as well, saying that "his death in the alleyways of the al-Am'ari refugee camp saved the lives of Israelis in the streets of Tel Aviv." Carmel and Sheli, who worked out with Lubarsky before their IDF conscription, recounted the excitement he felt in anticipation of his army service. "He was really excited at joining Duvdevan. It was his dream, he exercised a lot to realize it, and he ended up succeeding," they said. "He was punctual and a perfectionist—always the best, always setting an example and helping others. He never left anyone behind. He was truly caring, funny and genial and always looked on the bright side of everything." 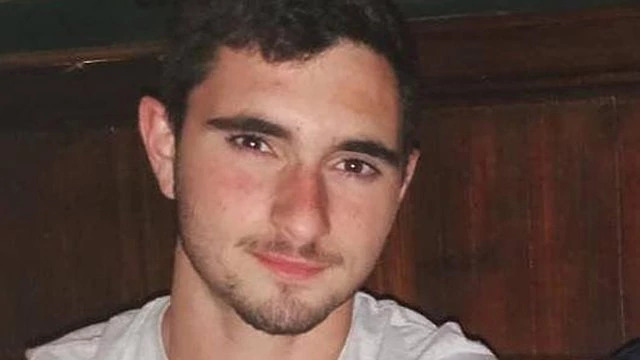 Lubarsky, a 20-year-old Rehovot resident, was a member of the army's elite Duvdevan Unit and was acting as part of the covering force for an operating serving an arrest warrant in the al-Am'ari refugee camp near Ramallah. An initial inquiry into the incident turned up that a large marble slab hit his head. After receiving emergency medical attention in the field, Staff Sgt. Lubarsky was taken to the hospital and hospitalized in its intensive care ward, where he was later pronounced dead. On the soldier's serious injury, an IDF official said, "His helmet was destroyed. He fell on his back and suffered another blow. So he was hit hard in the head and was evacuated." "This was a necessary raid to arrest several terrorists who carried out attacks in the past. The soldier was wearing full protective gear, including a helmet, and while he was standing close to one of the homes the marble slab was thrown down at him," the IDF official explained. While the operation had a specific purpose, it later evolved into a full-scale riot, the official expounded, with the army using crowd control measures to disperse rioters. The IDF official then remarked that "the terrorist who dropped the marble slab was not arrested. The force didn't open fire at the source and didn't identify it." He rejected claims changes had been made to the rules of engagement, noting "The reason the soldiers didn't open fire at the terrorist who dropped the marble slab was because he was not identified." The operation, which is based on Shin Bet intelligence, is part of the IDF's Judea and Samaria Brigade's wide scale activity to thwart attacks during the month of Ramadan, after recent years saw many deadly attacks during the Muslim holiday. The soldiers still operating in the camp were explained the complexities that are part and parcel of operating in such environs, with similar past incidents of throwing heavy objects from the roofs or windows of homes in cluttered alleyways taking place. In fact, soldiers are often pelted—sometimes at close range—with washing machines, refrigerators and heavy furniture when they operate in the West Bank's refugee camps. Thanks to the intelligence efforts of the Shin Bet and the army, one suspect was indeed arrested during the operation, with a further two arrested later in the day. The three suspects were taken in for questioning by Shin Bet.